The Revenue Appeals Tribunal has ordered the Zambia Revenue Authority to hand over the printing machines, vehicles and other other property such as coffee mugs ZRA confiscated from the Post Newspaper. 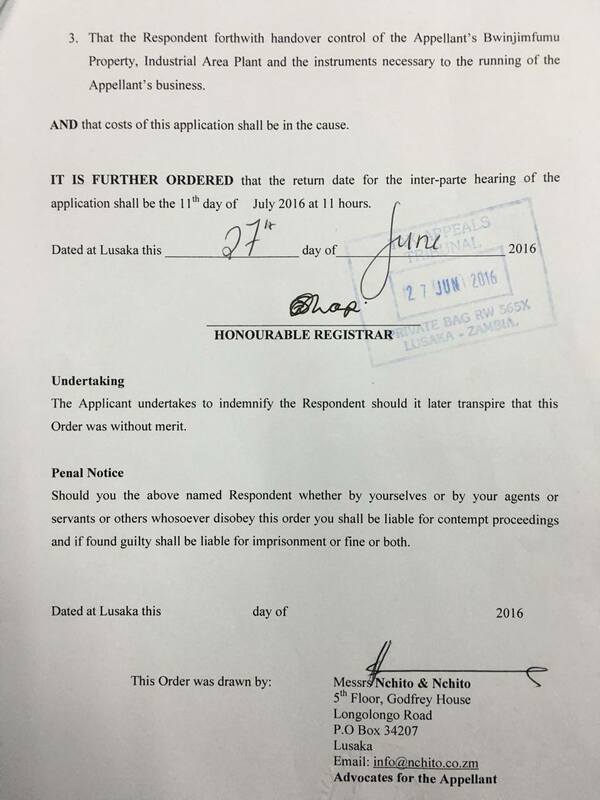 The Appeals Tribunal has stayed (stopped) the execution of the warrant of distress and garnishes (orders that allowed ZRA to freeze Post Newspaper accounts to recover money) until the matter is resolved on July 11, 2016. 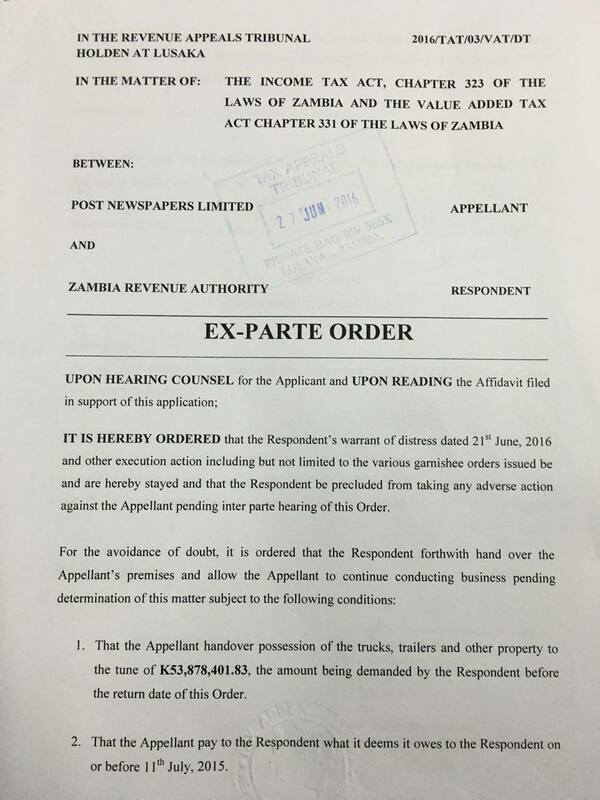 The Appeals Tribunal (a specialised court on tax issues) has further allowed the Post newspaper to continue operating normally and has restrained the ZRA from interfering with the operations of the Post for some time. According to court papers signed by the registrar of the Appeals Tribunal, ZRA has been ordered to hand over control of the Post newspaper offices and printing plant. The court warned ZRA that should it as an organisation or its officials or anyone else, including police officers ignore the order, that person risks being arrested. But ZRA ignored the order which was issued last night and the Post lawyers can now start contempt of court proceedings against the ZRA director and all ZRA and police officers who are interfering with their work. ZRA and PF cadres wearing police uniforms were busy towing away vehicles from the Post newspaper offices last night after ignoring the court order. As is always the case, the people at state house will not be touched but the small people at ZRA who have accepted to be used by politicians will face the music as this case will continue even if Lungu loses elections. In fact, ZRA officials should be smart enough to read the situation: in public, State House and its PF are blaming ZRA for closing the Post while issuing orders at night. This means that even when then the time to account comes, politicians will certainly deny any wrong doing but say it was ZRA officials.